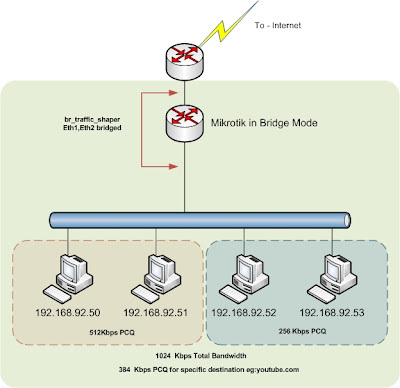 Even though I worked with NAT configuration it still troublesome when configuring NAT on the Cisco Router (I prefer the Mikrotik way of configuration, simple but powerful). • Inside local address—The IP address assigned to a host on the inside network. This is the address configured as a parameter of the computer OS or received via dynamic address allocation protocols such as DHCP. The address is likely not a legitimate IP address assigned by the Network Information Center (NIC) or service provider. • Inside global address—A legitimate IP address assigned by the NIC or service provider that represents one or more inside local IP addresses to the outside world. • Outside local address—The IP address of an outside host as it appears to the inside network. Not necessarily a legitimate address, it is allocated from an address space routable on the inside. • Outside global address—The IP address assigned to a host on the outside network by the host owner. The address is allocated from a globally routable address or network space. Following diagram depicts the terms in the actual traffic flow. 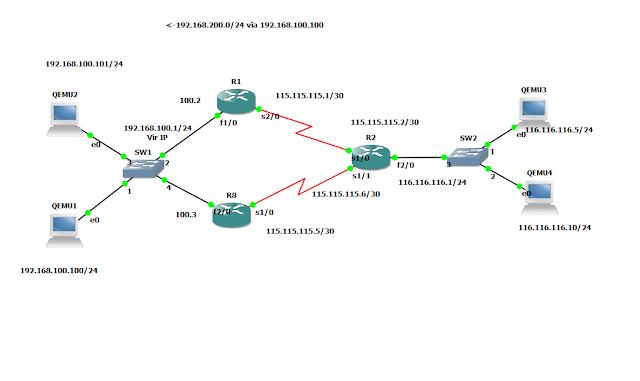 Following as depicted host1 and host 2 in the range if 192.168.100.0/24 range and 192.168.100.1 as the virtual ip for the HSRP group 10. Simulated Inside network doesn’t have access to outside without natting. 1) stateful nat (SNAT) works with HSRP/or independently to smooth tcp transition when the active/primary router fails . this feature simply sync the flow entries to other router udp it uses port 15555.
second we have to create ip nat stateful configuration . // check the mapping id is matched here..
according to this configuration, if stateful nat is not configured only the R1 should have the natting flow entries ( HSRP priority 110). but if you check the R8 nat table same entries kept on R8. “NAT: Local and Global Definitions - Cisco Systems.” [Online]. Available: http://www.cisco.com/en/US/tech/tk648/tk361/technologies_tech_note09186a0080094837.shtml. [Accessed: 14-Apr-2011]. “Scalability for Stateful NAT - Cisco Systems.” [Online]. Available: http://www.cisco.com/en/US/docs/ios/12_4/12_4_mainline/snatsca.html. [Accessed: 15-Apr-2011].